← Spring is nearly here: Don’t forget to stock up on your Hair Removal Essentials! Ingrown X-it spray for the face and body. It mildly exfoliates and decongests with Salicylic Acid, helping to minimize the appearance and discomfort of ingrown hairs. Arnica and Allantoin soothe angry looking red spots and promote skin healing. X-It Mitt is a unique LYCON design, this high-quality, non-abrasive X-it Mitt gently exfoliates without irritating the skin. 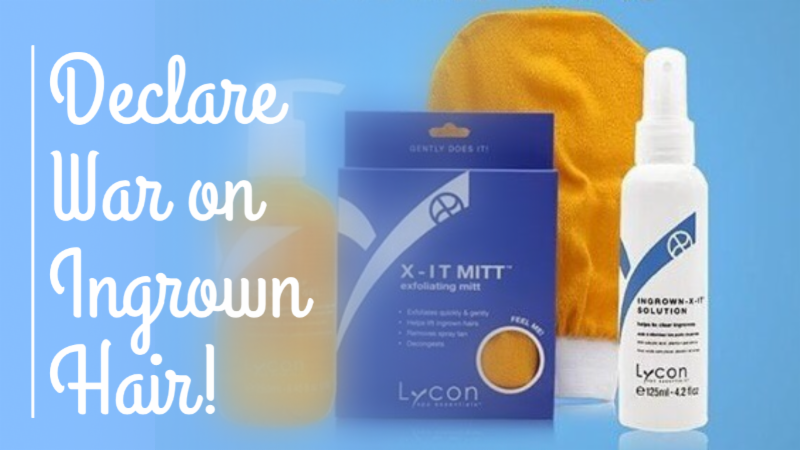 X-it Mitt helps to lift ingrown hairs, increases circulation and cell renewal. This entry was posted in Bay Area Estheticians, Ca Botana Skin Care, California Estheticians, Lycon, Lycon Waxing, New Salon Products, News, Skin Care, Waxing, Waxing Tips. Bookmark the permalink.